Do hash-tags have a place on Facebook? Posted on 5th September 2016 at 09:01. It’s a widely contested debate. Should hash-tags be used on Facebook, or should they be reserved for Twitter and Instagram only? In an effort to collaborate and ‘catch up’ with increasingly popular rival social networks, Facebook introduced its clickable hash-tag feature in 2013. It’s fair to say that some people were already using hash-tags on Facebook – albeit misguidedly. But with the new feature came controversy that still plagues business owners to this day. So should you use hash-tags on Facebook? Here’s our comprehensive verdict. If you conduct a quick search online (which you may well have done if you’re reading this post) you’ll find there are numerous articles ‘for’ and ‘against’ – with just as many sitting on the fence somewhere in between with commentary from several social experts. This makes it difficult to decide whether hash-tags for Facebook are a good idea, or a waste of time. If you’re confused by expert opinion it’s worth balancing the pros and the cons whilst directly considering your business. Do you use Facebook currently? If so, how engaged are your users? Are your other social networks much more popular (and profitable)? Think also about your objectives. If you want to make Facebook work harder for you and think hash-tags are the way to go then you’ll be on shaky ground. It’s definitely worth incorporating them – but as part of a holistic approach along with other techniques. What are the arguments for? 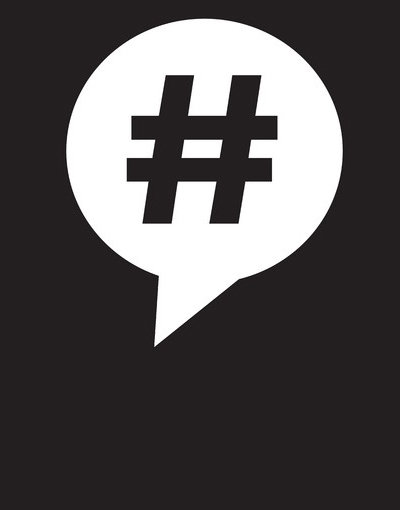 Hash-tags are universally recognised in the social media world as a good thing. Facebook’s introduction of hash-tags has motive – it follows the success of Twitter in using these short, sweet search terms as a way to categorise and validate posts. Facebook hash-tags are designed to be searchable – they’re clickable, so people who read and enjoy your post can look for trending topics, and people who may enjoy your post can find it via a quick search. This means that the inclusion of hash-tags gives your post greater potential to be engaged with by a wider audience. The arguments against mainly assert that using hash-tags on Facebook is ineffective – therefore it’s a waste of time. They also often agree that Facebook’s interface doesn’t ‘suit’ hash-tags, that users aren’t familiar with them, how to use them and how to search with them. That users may even find it annoying to see them on Facebook. All of the above have been shown to be true – but it’s hard to determine accurately how much this will affect your social media efforts. The only reasoning to soften these counter-arguments is the knowledge that things will change. Often people are adverse to change – just look at the backlash Twitter received from Facebook devotees as it launched in 2006. It’s likely that even if the above issues are prevalent now, they won’t be in six or twelve months’ time. If you’d like to try hash-tags on Facebook and test out how effective they could be for your business then it’s certainly worth giving them a go. Hash-tags can’t really do much harm, provided they are used properly. With this in mind it’s worth remembering to observe the golden rules of hash-tags – which apply across the board for all social media networks that use them. Firstly, make sure your hash-tags are relevant and appropriate both for the post you are sharing and for its audience. They also need to be short, preferably one or two words – with no spaces in-between. Finally, be careful not to over-do it. Any more than four or five hash-tags are considered too much and can have the opposite of the desired effect on your followers. Still confused by hash-tags? You can find more about hash-tags in our handy blog posts here. For more expert social media marketing tips check out our related articles or get in touch.